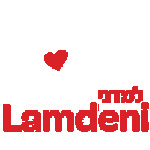 Lamdeni has a policy to accept all children regardless of their family's financial standing. You can help by sponsoring a child. Your generous contribution will help enable local children from our community to receive the Jewish education that they so rightly deserve. Thank you for your support.